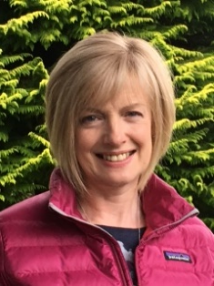 The Scottish Mathematical Council is delighted to announce that Carol Lyon will succeed Dr Chris Pritchard as Chair from 1 August 2019. Carol is an exceptionally experienced primary specialist who has taught all stages and worked in a range of schools as a class teacher, principal teacher and staff tutor. In 2008, she was appointed Education Support Officer (Numeracy) with Angus Council. Following a short secondment to Education Scotland, she returned to Angus in 2015 as Schools & Learning Support Officer (STEM). Her current role of Schools & Learning Support Officer (Improvement) includes leading ‘a relentless focus of improving learning and teaching in numeracy’ across the Tayside Regional Improvement Collaborative. Carol has served on the SMC since 2015. She is the inaugural editor of the Scottish Mathematical Council Primary Journal and a member of the editorial team for the senior journal. Carol will be the first woman and the first primary specialist to chair the Council, and we hope that her appointment will send a further signal to primary teachers of the commitment of the SMC to support the learning and teaching of mathematics in primary schools. Our friends in the Mathematical Association are holding their Secondary Education Mathematics Conference at Stirling University on Saturday 29 September 2018. The keynote speaker is Maureen McKenna, and the speakers include Chris Smith, Chris Pritchard, Stuart Welsh, Rachael Horsman, Adam McBride and many more. To book go to https://members.m-a.org.uk/event-registration/eventid/10. The problems for Round 1 of the Scottish Mathematical Challenge 2018-19 are now available to download. The closing date for solutions to Round 1 is 28 September 2018, so there’s still plenty time for schools to register! The Challenge comes in four divisions: Primary (P7), Junior (S1 and S2), Middle (S3 and S4), and Senior (S5 and S6). Each year there are two rounds of problems for Secondary schools and three rounds for Primary schools. More details can be found on the competition website. Popular lecture: can we cure cancer with calculus? (Graham Kerr Building, University of Glasgow; B3 on the campus map). Refreshments will be served in the Maths Building Foyer (C3 on the campus map) from 1530. The lecture is open to all! Mathematical Modelling, Mutations and Metastases: Can We Cure Cancer with Calculus? Cancer is one of the major causes of death in the world, particularly the developed world, second only to heart disease. 8.8 million people died from cancer in 2015 i.e. globally, almost 1 in 6 (16-17%) deaths can be attributed to cancer. The latest data from the World Health Organisation shows that approximately 12 million new cases were recorded in 2012 with this figure expected to increase by approximately 70% over the next twenty years or so. There are few individuals whose lives have not been touched either directly or indirectly by cancer. While treatment for cancer is continually improving, “alternative approaches” can offer even greater insight into the complexity of the disease and its treatment. Biomedical scientists and clinicians are recognising the need to integrate data across a range of spatial and temporal scales (from genes to tissues) in order to fully understand cancer. In this respect, there are three natural, key scales linked to each other which, when considered together, go to make up understanding the complex phenomenon that is cancer: the sub-cellular scale, the cellular scale and the tissue scale. In this talk, we will present an overview of the contribution mathematical modelling is playing in the fight against cancer, and highlight recent multiscale modelling that is giving real insight into several key processes involved in solid tumour growth and progression. The long-term goal of the current work is to build a “virtual tumour” made up of different but connected mathematical models at the different biological scales (from genes to tissue to organ). The development of quantitative, predictive models (based on sound biological/clinical evidence and underpinned and parametrised by biological/clinical data) has the potential to have a positive impact on patients suffering from the disease through improved clinical treatment and personalised medicine. The International Statistical Literacy Project (ISLP) team have announced the International Poster Competition for 2018-2019. The competition invites candidates to design a statistical poster. The posters should reflect or illustrate usage analysis, interpretation and communication of statistics or statistical information. undergraduate students in university/college (Bachelor’s degree students or equivalent, no age limit). Registration and entry is free. The deadline for registration is 1 February 2019. To register please contact the UK/Scotland coordinator at Margaret.MacDougall@ed.ac.uk. Overall winners are to be announced and their posters displayed at the 62nd World Statistics Congress of the International Statistical Institute during August 2019. Further information is available on the UK poster competition webpage.